Chicken is one of the most adaptable foods around. It manages to taste differently whether it is baked, grilled, roasted or sautéed. Most recipes are simple and quick to prepare, making it a great weekday meal. 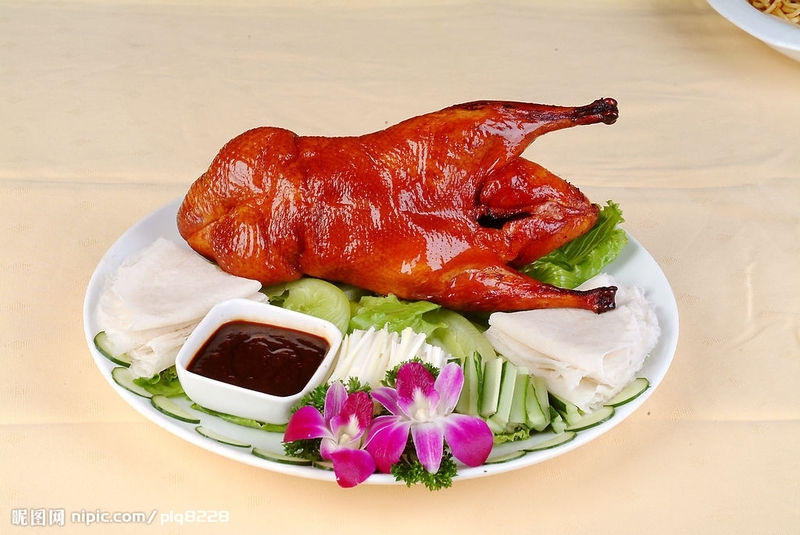 Chinese cooks use every part of the chicken – even the feet. They have come up with thousands of different ways to prepare this versatile protein, and they are all delicious. Here are some Chinese recipes using chicken you might want to try to see which ones suit your palate. First make the marinade. Mix together 1 tablespoon wine, 1 tablespoon of soy sauce, 1 tablespoon of oil and 1 tablespoon of the cornstarch mixture. Put the cut-up chicken pieces in a glass bowl and pour the marinade over the pieces. Make sure the chicken is well coated. Put a cover on the bowl and put it in the refrigerator for around 30 minutes. Next make the sauce. Mix together 1 tablespoon of wine, 1 tablespoon of soy sauce, 1 tablespoon of oil, 1 tablespoon of the cornstarch mixture, the chile paste, sugar and vinegar in a small bowl. Add in the green onion, water chestnuts, garlic and peanuts. Heat the sauce in a medium pan slowly until the flavors combine and become aromatic. Take the chicken out of the marinade. Heat a large skillet and sauté the chicken until the pieces are white. Add the cooked chicken to the sauce and let it cook together until the sauce becomes thicker. Mix together 1 tablespoon of soy sauce with 1/2 teaspoon of sesame oil and brush on the chicken breasts. Put the chicken breasts in a baking dish and bake them about 13 to 15 minutes. Take them out of the oven and let them cool. When cool enough, cut them into 1/4-inch slices. Mix the Napa cabbage, carrot, red cabbage, water chestnuts, scallions, chicken and mandarin oranges. Whisk together 3 tablespoons of soy sauce, garlic, vinegar, oil, ginger, brown sugar, 1 1/2 teaspoons of sesame oil and chili sauce. Pour the dressing over the salad and toss. Serve the salad in individual bowls and top each one with 2 tablespoons of toasted almonds. Combine the teriyaki sauce, ginger, garlic and red pepper flakes in a large bowl. Add the chicken pieces and coat them with the marinade. Put a cover on the bowl and put it in the refrigerator for 3 to 4 hours or overnight to marinate. Take one piece of chicken from the bowl and put it into the center of an aluminum foil square. Fold the aluminum foil over the chicken to make a triangle. Fold the edges that are open over the chicken tightly so that the chicken is sealed into the aluminum foil. Do this with all of the chicken pieces. Throw the rest of the marinade out. Heat up the oil in a large frying pan or deep-fryer to 350 degrees F.
Carefully drop the chicken packets into the hot oil and cook about 2 to 4 minutes until the chicken is tender. Place the packets on some paper towels to drain and let them cool. When serving, open the packets on the sealed edges. Curry paste. Put all of the ingredients listed for the curry paste into a food processor, blend until it becomes a smooth paste, and set aside. Bring a large pot of water to boil then simmer. Add the star anise, fresh ginger, rice wine or sherry and chicken breasts into the pot. Let it simmer for 25 minutes until the chicken is cooked completely. Take the chicken out of the pot and shred it into big pieces. Remove any impurities from the top. Combine the shredded chicken with the curry paste. Heat a wok or large pan until it smokes, then put in the groundnut oil. Add the red onions to the pan and cook for about 2 minutes until soft. Add the chicken, spring onions, bean sprouts, red peppers and Chinese cabbage. Stir fry this mixture for 1-2 minutes and add the soy sauce. Serve this dish with plain rice with some of the chicken stock ladled over it. Rinse chicken under cold water. Remove any excess fat. Put enough water into a large pot to cover the chicken. Let it cook for about 30 minutes. Put a small amount of oil into a sauté pan. Add the spring onions, garlic, ginger, sea salt and wine and sauté gently for a minute or two. Put into a small bowl. When the chicken is fully cooked, remove it from the water and cut into pieces. Serve with onion ginger sauce.